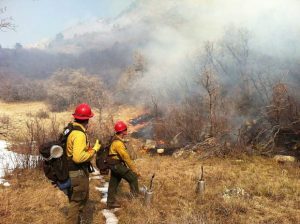 Fire crews from every Eagle County agency, as well as Glenwood Springs and Rifle, responded to a fire at the Gypsum biomass plant and had it wrapped by late morning Saturday. The fire started around 4 a.m. The plant is offline, and the extent of the damage is unknown. GYPSUM — Kelly Bretta says she’s not a fan of the biomass plant next to her home, but that didn’t stop her from strapping on an orange safety vest during a pre-dawn fire and directing firefighters toward a gravel driveway to fight the three-alarm blaze. A conveyer carrying wood chips into the biomass power plant apparently sparked a pre-dawn fire Saturday that rallied firefighter crews from as far away as Rifle. The fire broke out around 4 a.m. Firefighters contained most of the damage to the plant’s exterior conveyor belts, while much of the building’s exterior was undamaged. Huge piles of wood chips were undisturbed by the fire, thanks to quick work by firefighters who came from every agency in Eagle County, as well as some from Garfield County, said Justin Kirkland, Gypsum fire chief, whose crews were first on the scene. When firefighters arrived, flames were jumping up to 20 feet out of the top of the two silos in the front of the plant, Kirkland said. 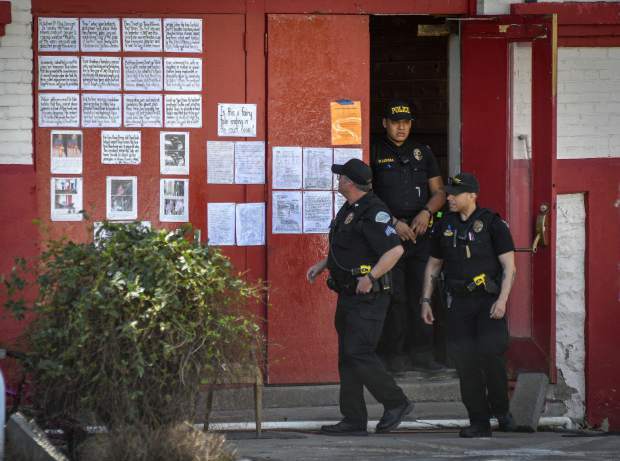 “It was a three-alarm fire, and those are pretty rare,” Kirkland said. 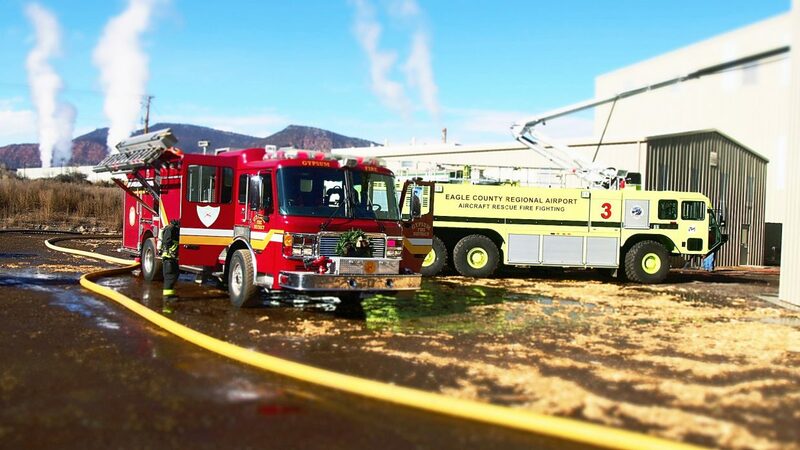 By late morning, crews had extinguished the fire and plant personnel were assessing the damage. Exactly how the fire started remains under investigation, Kirkland said. No injuries were reported. Reporters were escorted from the scene by plant personnel, and the plant’s managers declined to make any statements Saturday afternoon. 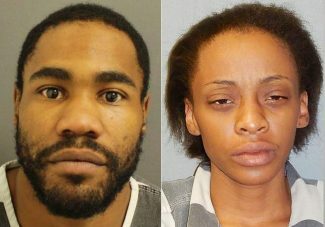 Bretta said she woke up about 4:20 a.m. to flashing lights from emergency vehicles speeding toward the fire. She said she looked out the window and saw the flames climbing up the plant’s exterior silos and conveyor belts. “The belt was completely engulfed,” she said. 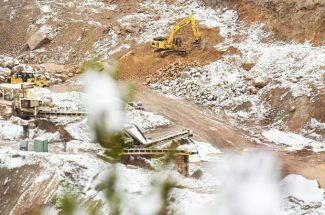 The plant is easy to spot from both Interstate 70 and Highway 6 in Gypsum, next to Gypsum’s wallboard plant, but in the pre-dawn darkness some crews struggled to find the gravel driveway — the only way in or out of the plant. After a couple crews hurriedly asked for help, Bretta, who works at the Eagle County Regional Airport, grabbed her orange safety vest and stood on Highway 6 in the dark, directing firefighters and emergency personnel toward the gravel driveway. “One road in and out was a problem last night,” Bretta said. While the biomass plant has been a darling of state and federal politicians and some environmental groups, Bretta and others have opposed it since it was first proposed. They say they’re concerned about air quality, and what might have happened if something like Saturday morning’s fire had flamed out of control. The plant cost $56 million to build. The U.S. Department of Agriculture came up with a $40 million loan guarantee. Eagle Valley Clean Energy developed the plant, which started generating electricity last December. Bretta lives next door, and says she worries about what burning wood each day will do to the air quality. The American Lung Association opposes biomass plants. Dean Rostrom with Eagle Valley Clean Energy, the plant’s developer, has said his company uses state-of-the-art filters, and insists the plant exceeds all air permit requirements. 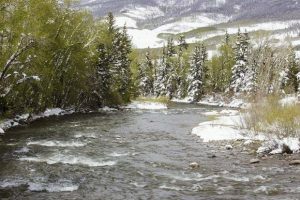 Rostrom has said it is a source of renewable energy by using beetle-killed trees from forest land within a 75 mile radius of the plant, as well as wood waste from the Eagle County landfill. Holy Cross Energy buys the power the plant generates.